Simonton VantagePointe windows are a specialty window from Simonton that are sold exclusively at Home Depot. The VantagePointe comes in a number of glass packages and standard features that each have a Series number, so for instance the 6100 Series is the lower end option, while the 6300 is the mid range and the 6500 series is the best glass package and standard options available. The VantagePoint window can be ordered in a number of styles, including a double hung, single hung, geometric, bow, garden, awning, end vent slider, casement, bay, picture and slider window. Some of the features that come standard on the VantagePoint window include dual air locks, tilt latches, a deep beveled sash, tilt in sashes, coil balance system, and extruded lift rails. The window is available in a number of different and interesting interior frame colors that includes white, driftwood, tan, contemporary oak, maple, amber oak, and cherry. Exterior frame colors include white, tan, cream, pine, driftwood, chocolate, bronze, and brick. The VantagePoint window is an okay window, nothing fancy or special, but it has decent performance numbers and ratings. The issue I have is with HD installation. They subcontract out all of their work and have a revolving door of installers that come and go depending on the season, how busy they are, etc. So how is any homeowner supposed to trust the quality of the install with this set up? If you are going to purchase the VantagePointe directly from Home Depot, I would recommend finding an installer that you trust and with some good references and reviews under their belt. Consumers can expect VantagePointe window prices to run $40 to $55 per square foot for the window itself and $50 to $65 per square fully installed. ($65 psf fully installed is the median cost of vinyl windows in general.) Compare to Monte Verde windows cost and Wallside prices. The VantagePointe 6500 double hung Series by Simonton (and available at Home Depot) that measures 37"W x 84"H will deliver roughly a 0.15 scfm/ft air infiltration (not overly impressive). 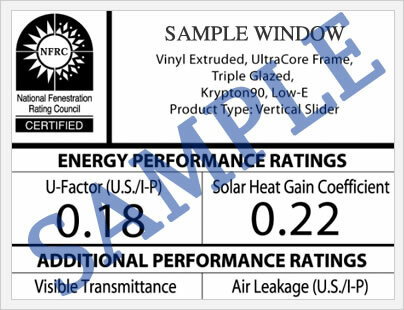 This same window, with a Low-E 366 Cardinal Glass, krypton fills and the Intercept spacer will deliver a 0.30 U-factor, 3.33 R-value, 0.32 visible transmittance and a 0.18 SHGC. These are decent numbers - the 0.15 AI is the only one that seems a bit high. These performance numbers are about what homeowners should expect from an economy to mid range vinyl window in this price range. The Simonton VantagePointe Series includes a double lifetime limited warranty on the vinyl, insulating glass units, screens, and hardware. The double lifetime means that if you were to sell your home, the next buyer gets the warranty for their lifetime as well (homeowners must notify the company in writing of the transfer). 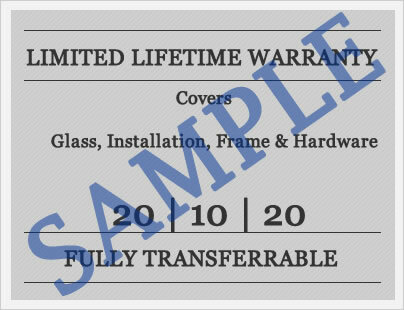 This warranty is identical to the Simonton Asure window. Do you have a question for Jim or John (our site experts) about the Simonton VantagePointe 6500? Our industry professionals can help you get more information on pricing, upgrades, installation requirements, contractors quotes, as well as help you sort through the quotes and companies you are considering for your next window replacement project. Want to add your Simonton VantagePointe windows reviews to the site - post it here and help others get the information they need to make the right choice for their homes. I am planning to replace 12 windows in my home with vinyl replacement windows. I have estimates from Lowes (Reliabilt 3900 @ $7800) and Home Depot (Simonton 6500 @ $7700). The windows seem similar to me. I like the features of the Reliabilt but the Simonton corner welds give it a much cleaner finished look. Which window would you rate higher? I live in Pennsylvania. Thank you in advance for your help. Mike, I think most industry experts are going to put the Simonton 6500 over the Reliabilt 3900. Simonton has a better reputation overall than Reliabilt. I have to say that's not the cheapest quote I've ever seen -- certainly I don't know the project details, but I would get a couple of outside quotes to round out the bids you have from the big box stores. I would be interested to see what a quote on the Okna 400 window would be -- a MUCH better window than either of the ones you have here. Okna will certainly have a rep in your area. Check out these brands to see if any local companies sell them in your area -- Sunrise, Soft-Lite, Polaris, HiMark, and Vytex. Hi, is the glass unit of vantagepointe 6500 a double glazed? Susan, yes, the Simonton Vantagepointe 6500 window uses 7/8 inch double strength glass unit, supercept spacer, and a ProSolar low-e glass. Which SIMONTON window to buy? The Simonton 6500 Vantage Point vs Daylight MAX? Josh, I'm not sure there is THAT much difference between these two windows. Based on the numbers, I may have to give the nod to the VantagePointe. Got quotes for Vantage Pointe 6500 and 6100 windows. Difference in price is about $800. Other than the warranty (double-lifetime, versus single-lifetime for the 6500 v. 6100) and double strength (6500) versus single strength(6100) glass, is there much difference between the two windows? The differences the sales rep mentioned seem mostly cosmetic and the performance numbers, from searching on-line, seem nearly identical. I understand HD uses subs and other windows might be more competitive. My question is specific to these two products. In short, is there something I'm missing as to why the pricing is different. Gene, I believe you (and the sales rep) summed up the differences between the two windows well. Warranty, a few features, minor performance data, and a few little cosmetic differences. All of these add up to a nicer window...but by how much? Apparently in your case, $800. So is the 6500 worth it? Tough to say, it would be to me because I tend to think of these things over the life of the window - how are my windows going to "perform" and function over the next 20 years. Unfortunately, I can't answer the question for you. There isn't that much difference between the two windows, but the differences over the long term probably add up to the extra cost of the 6500 series.